Call our Tampa bail bonds agent and provide the basic details and information about the defendant's charges. From there, we will tell you the bail amount and payment plan options on the bond. Our bail bond team will quickly go to work on his or her release. You loved one or friend will be bonded and released from county or city jail. Our bonding company has 16 years of experience in Tampa and Hillsborough County. Payment plans may be available for city of Tampa or Hillsborough County bail bonds. Trinity Bail Bonds is the premier bail bonds company in Tampa, FL. Our fully licensed bail bondsmen can help people in any situation imaginable, both nationwide and statewide. Put our 15 years of experience to work in freeing your friend or loved one. We go the extra mile to provide courteous and professional service. Our bail bonds team is here to serve you 24 hours a day and 7 days a week. We do this because we know when you call, it is urgent and you require immediate attention. We will always have a licensed bail bondsman here to serve you. Call Trinity Bail Bonds Tampa to help your loved one get out of jail NOW! Get a simple explanation from Trinity Bail Bonds on how the bail bond process works. Understand what you need to know when it comes to procuring a bail bondsman and what the common terminology is. Trinity Bail Bonds treats each client with courtesy and respect. We know that just because someone was arrest doesn't make them a criminal or a bad person. This booking process can take a few hours to over 10 hours, depending on the jail's volume of defendants. The defendant will not be able to have a bondsman post bail until the booking process is complete. You can check the booking status of the defendant by calling the facilities directly on checking online. Only when an inmate has been completely booked are they eligible to be bonded out. 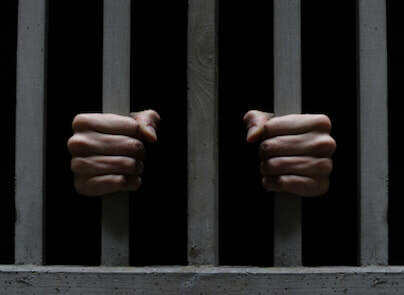 To bond out an inmate, pay the full bail amount directly to the jail or contact a bail company in Tampa for their help. We preface this section with a WARNING about always showing up for court hearings and to adhere to the conditions of your release. A defendant who skips bail will face additional, but separate, criminal charges of failure to appear. This charge is over and above the crime they are being charged with. Penalties for failure to appear are serious in that they change the nature of the original charge: if the original charge was a misdemeanor, then the new charge with be a first-degree misdemeanor; and, if the initial charge was a felony (such as DUI), then the new charge will be a third-degree felony. Here are four things you need to know if you are arrested in Tampa, FL and wish to post bail. Learn more here. Signature Release - is just what it implies: a signature on a court document certifying you will appear for all court hearings. Also known as recognizance release does not require you to obtain bail or pay any money. This type of release is generally only available for defendants who have been charged with minor crimes, which did not involve any violence and have no past criminal record. Cash Bond - if you have adequate financial resources, a defendant can opt to pay the entire bond amount to be released. Cash bonds are actually the most economical method for release vs. a surety bond. With a cash bond, the defendant gets back most of their money at the end of the proceedings. However, surety bonds require the defendant to pay ten percent of the bond about, which they do not be back at the end of the case. Cash bonds can also be paid by a family member or friend as a co-signer for the defendant. Surety Bond - are necessary when a defendant, or family and friends, can not afford to pay the ten percent for a misdemeanor bond (felony bonds are generally even more expensive than ten percent). In these situations, a surety bond is necessary and can be an economical alternative to a cash bond. With Florida state law, a bail bondsman can charge ten percent of the complete amount of the bail. For example, a $10,000 bond, would cost the defendant $1,000, which is much less than trying to come up with the full $10,000 in cash. Any adult family member or friend can be a co-signer and pay for the surety bond. ​The requirements to be a co-signer, or indemnitor, in Tampa are spelled out by the state. The co-signer must be 18 years old, and a US citizen. Beyond these state requirements, each bail bond company in Tampa may have their own unique requirements. These often involve financial credit and background checks as well as references. Most bail bond companies will require some form of collateral from the co-signer. The co-signer is also responsible to ensure the defendant attends all the court hearings of the case. If the defendant fails to appear or disappears, the co-signer is required to attempt to locate and return the defendant back to the court. ​The primary expense in going to jail is coming up with the money for either cash or a surety bond. 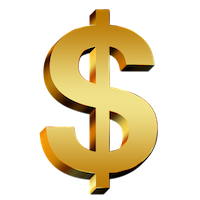 With a cash bond, the defendant (or family member or friend) must have the financial resources to pay the entirety of the cash bond amount. While they will get back the bulk of this money at the end of the case, many people don't have a large enough quantity of cash available to post a cash bond. With a surety bond, a ten percent fee is required to secure release. Even ten percent can be quite a bit of money when the bail amount is set over $10,000. However, criminal court cases can be expensive involving attorney's fees, court costs, and other expenses, so a surety bond may be the only option most people have. ​As soon as you get that awful telephone call from a loved one booked into county jail, you probably will have no idea what to do. Fortunately, that is ok and we are here to walk you through the process step-by-step. The bonding process was first established by Peter McDonough back in the early 1900s. Further, there are several Congressional acts, such as the Excessive Bail Clause in the 8th Amendment of the US Constitution that has helped streamline the process and reduce excessive prison overcrowding. Regardless of your knowledge (or lack of knowledge) about our country's bail process, we are happy to walk you through the entire process. Below is an overview of the bail bond process in virtually every county in the country. The first thing you need to determine is what city jail or detention center your loved one is in. Today, you can search for what centers are in your county online as well as perform a search by name on each facility's website. Once you find out this information, you will want to inform the bail bonding company of the person's location. Additionally, during your search, please also identify the bond amount. Alternatively, you can always call the facility and ask for this information. Next, determine if can pay the full bond amount, or if not, can you qualify for a surety bond. If you cannot do either, then search for another family member or friend who has the financial resources or can qualify for a surety bond. Then call our office in Tampa. We will have you work directly with one of our bail bondsman who will step you through all the information, fees, and bond charges necessary to release your loved one from jail. 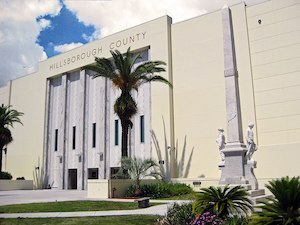 With any bail bond company in the Hillsborough county area, depending on the cosigner’s qualifications, you can expect to pay in between ten and fifteen percent of the cash bond amount, plus a pass-through fee. After the defendant is released, all that is required is to ensure the person stays in the state of Florida and attends all court proceedings. If they do fail to appear on any court date, as the co-signer, you could be required to pay the full amount of the bail. Also, the surety bond will be revoked and the person will be placed back in jail. If the defendant skips bail, a fugitive recovery agent (bounty hunter) may be utilized to find the person and bring them back to jail. We can help you in almost any situation. It does not matter where the defendant is being held in the county, we have the knowledge and experience to get them released. Our company is listed with most industry trade associations. 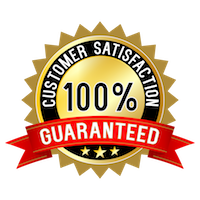 Further, we have pre-negotiated rates with the best area banks and insurance companies so we can not only provide you with the best pricing but can also help when many other bail bond companies in Tampa cannot. We are the most courteous and professional bail bondsman in Tampa, and perhaps all of the United States. Check out our FAQs for commonly asked questions.